It’s been nine years since the last release from Canadian progressive/technical death masters Augury. Fortunately, this dormancy has been but a superficial one, the quartet all the while toiling furtively in pursuit of the stupefyingly dense new record Illusive Golden Age. There’s nothing illusive about the band’s new golden age, however, as this record is a stunning collection of songs that together mark one of the genre’s pinnacles so far this year. 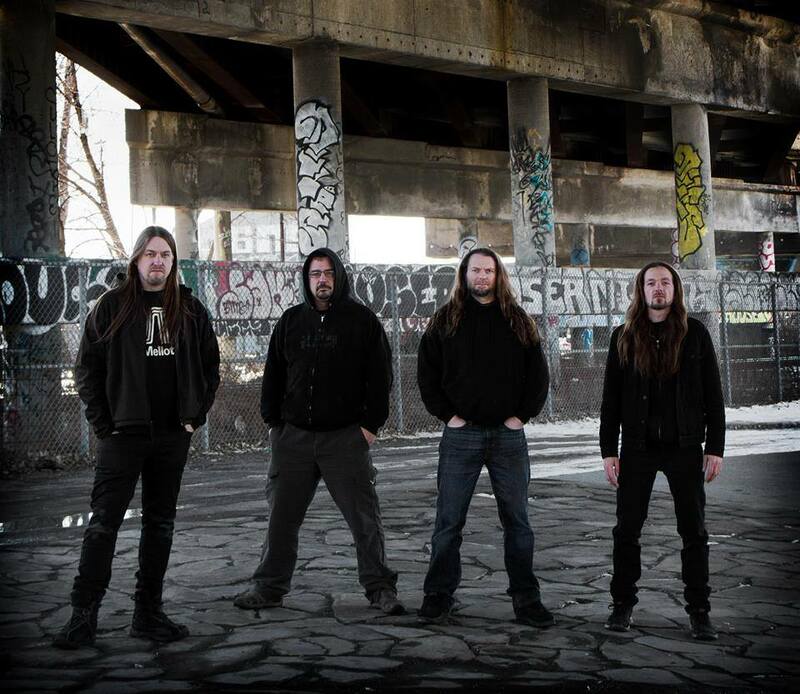 Too often the phrase “technical death metal” is equated with a mechanical assemblage of virtuosic performances so robotic they can feel otherworldly. The playing becomes sterile and alien to the point where any connection between the musician and the listener is severed. 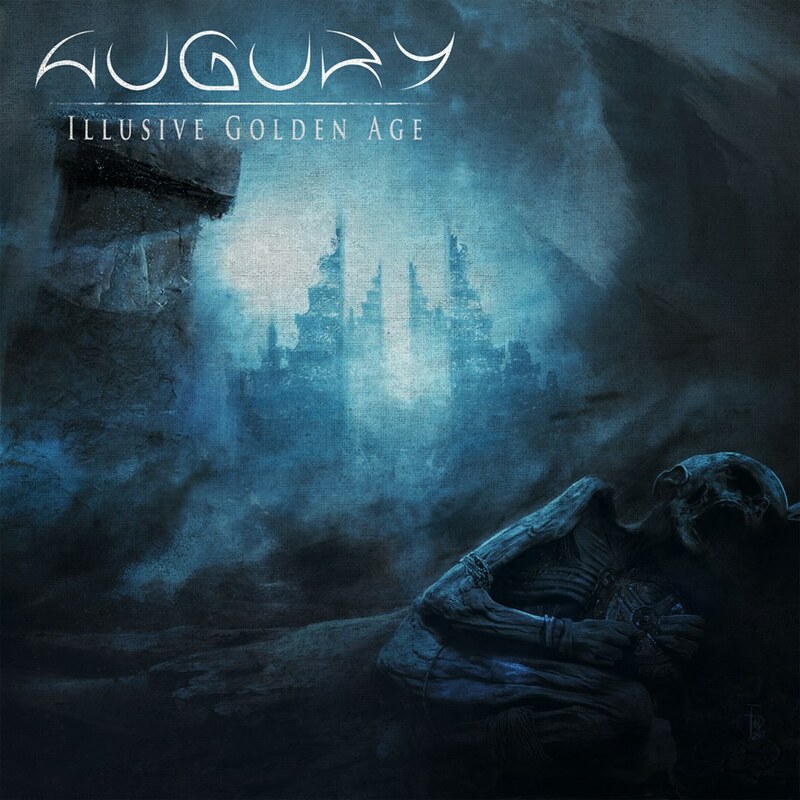 On Illusive Golden Age, Augury refutes such a characterization, instead offering an album that, while teeming with dexterity, is wholly human in its composition. The record is far from a stereotypical glorification of proficiency as an end unto itself; rather, the men of Augury harness their musicianship in the realization of a genuine, emotionally driven musical vision. At first listen, Illusive Golden Age is a swirling barrage of notes, motifs and reference points, but soon, clear threads emerge. Augury’s eclectic songwriting continually delights as it surprises the listener along the record’s meandering path, and repeat listens are a must. Though all four members are nonstop note generators, their discrete presences are woven into a larger cohesive tapestry. Augury’s music is constructed in such a way so that the listener can focus on what any particular member is doing at any one time or sit back and take in the entire band as a whole — an experience made possible in no small part due to the flawless playing and precision displayed by all four musicians. Across the record’s eight songs, Dominic “Forest” Lapointe shines as the soul of the group. His fretless bass is vibrant even in the most frenzied of moments, an energizing anchor through the album’s hectic journey. Lapointe converges with the graceful Antoine Baril on the drums into a charismatic rhythm section that contributes much to the album’s undeniable organic flavor. Baril’s fat-bottomed drum production yields plenty of space for Lapointe’s animated bass playing to thrive. Contrary to what one might expect from a tech-death band, and especially next to the effervescent Lapointe, guitarists Patrick Loisel and Mathieu Marcotte take a measured and disciplined tack to their instruments. There are many moments where both Loisel and Marcotte together lay down a rhythmic foundation for Lapointe’s “lead bass”. Even the guitar solos are composed so as to emphasize progression and taste over a raw display of skill, though there is assuredly much of the latter involved. Loisel’s vocals are powerful in all registers, from his guttural grunts through a meaty midrange up to a throat-searing high. At times, he even deploys a cartoonish, over-the-top sing-shout that somehow still manages to feel contextually appropriate. With Illusive Golden Age, Augury plant their collective rear solidly on the tech death throne, rightly assuming their place at the top of the genre’s mountain. Anyone can practice guitar all day, but Augury prove beyond a doubt that songwriting is at the core of what makes an album good. Though it is indeed dense and punishing, the record is ultimately an uplifting experience very much deserving of the multiple listens it will doubtlessly garner. Illusive Golden Age is out today via The Artisan Era. Buy the album in digital, CD and vinyl formats on Bandcamp.